I was showing somone my bits of CL in the cupboard and found these. I forgot I had them! They were an op shop find a few months ago and are in perfect condition. Are they very common and are they CL or Titian? The Crown Lynn records show 1187 - Solid Handle, Flower Border Soup Bowl - first made at the Titian Factory in 1973. 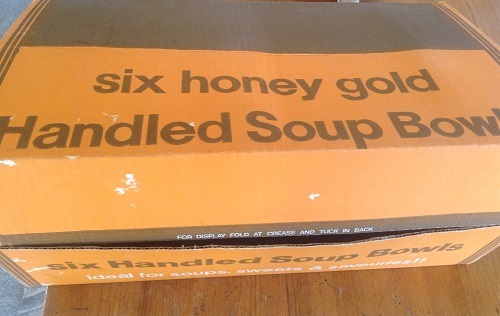 They are fairly common on Trademe. 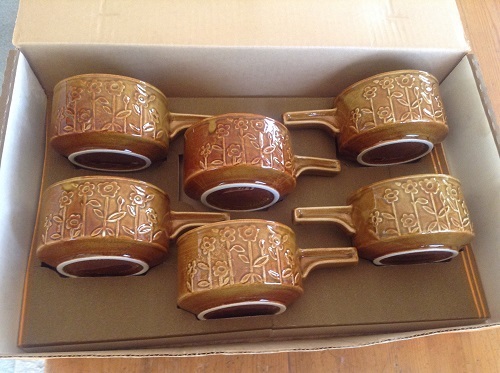 The name for these is Honey Gold Handled Soup Bowls, I have 6 in the original sales box. 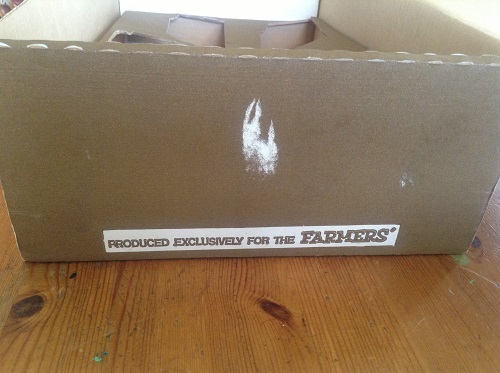 Were made exclusively for Farmers. 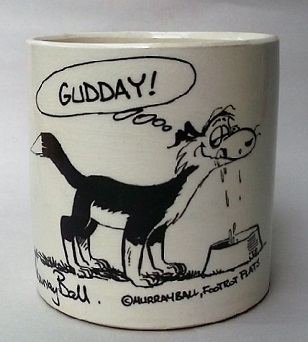 I find original packaging fascinating and wonder if you could send a photo to newzealandpottery@gmail.com and I will add it to this thread ....? on how to use as a display. Very 1960/70. Do I see the pattern being the same a a series of three storage jars in the gallery 1302/3/4 ? 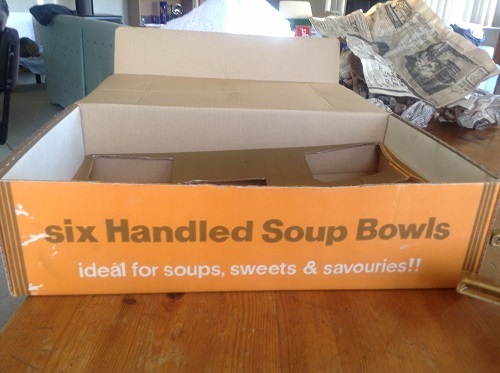 Your welcome, the box came stuffed full of the NZ Herald 1976, haven't had a chance to unraveled the newspaper and see if there are any interesting adds or articles. Anyway taking an uneducated guess these were from around 1976.